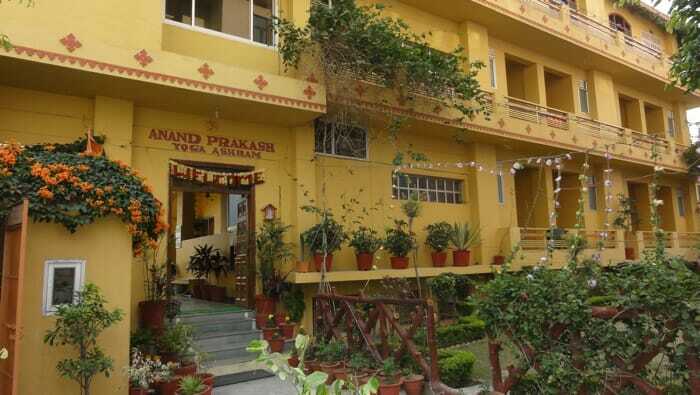 The welcoming entrance of Anand Prakash Yoga Ashram where I spent a relaxing week in India. Congratulations! If you’re reading this you have decided to travel long term. Perhaps it’s a gap year or a career break. Whichever, it’s going to be great! But long-term travel presents a few challenges in both the planning and traveling stages that you likely won’t have encountered on a typical vacation. Will you be on the move most of your long-term trip or do you want to settle into a destination for a month or two? If it’s the former, you have a lot of logistics to deal with. If it’s the latter, you need to choose your destination and where, in that destination, you want to settle yourself. You’ll need a plan for what you’ll do there beyond seeing sights. And you’ll need to know how you will accommodate any dietary needs. While traveling, you might face loneliness, a feeling of being unsettled, and a need to be grounded. You might become travel-weary. Way back in 2001, I moved my family to Europe. The idea was to spend 10 months there. We spent five of those months in Neuchatel, Switzerland where one of my sons attended a Canadian school. We used Neuchatel as a base from which to explore central Europe but, essentially, we were slow traveling in one place. The following five months we toured the perimeter of the continent in a Volkswagen pop-up camper van. There was very little online at that point to help us plan but we managed with the help of friends and friends of friends. I recently received a couple of emails from readers looking for help with planning a long-term trip. For this post I’ve dug in and done some research. I’ll share the results as well as a few things I learned from long-term travel that I hope will help you. 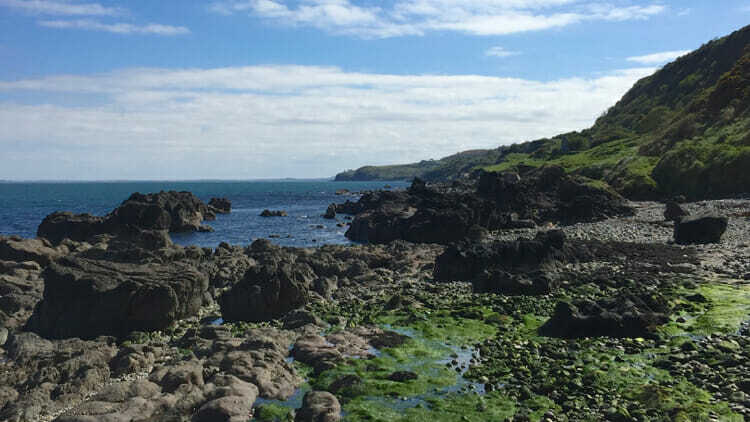 At the beginning (or the end) of The Gobbins Coastal Path in Northern Ireland where I would enjoy spending a number of months. People sometimes ask me where to travel. It’s such a personal decision. How can anyone answer this question except to suggest destinations that they have enjoyed? To stay a few months in a destination requires a passion for it. Perhaps you speak a second language and want to live in a culture and the language full time. Or maybe you love the food of a certain country and want to eat it and learn how to cook it properly. Your passion could be driven by your heritage, the books of a certain author, music, or art. Any of these will give you a reason to stay, sink in, and enjoy a destination for a long while. Whether you have a few months or a couple of years, it is easy to plan too much for a trip that involves many destinations. It’s important to set out with at least a loose plan. You want there to be lots of room for changing your mind but enough of a plan that your time and budget will be managed well. Search “long-term travel itinerary” on Google and you’ll see many itineraries. Here are a few things to keep in mind. Develop your wish list. If you could only visit five countries, what would they be? You have a year? Make that 10. Now look at where they are geographically in the world. Are all five countries realistic given the time you have? If you want to be flexible with your time, choose countries that are possible to reach via ground transportation. Plan to travel slowly with a week or (hopefully) more for each destination. 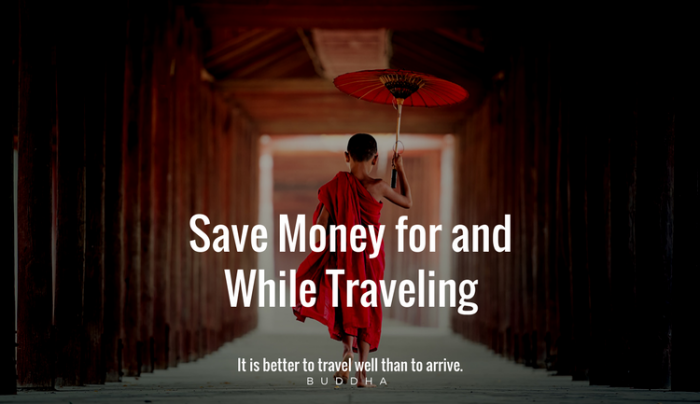 As you actually travel this may shift to a few days in one place to weeks in another but planning for an average number of days per destination will help you control your itinerary. Consider the weather you can expect in your destinations and the time of your trip. If you don’t like cold, don’t plan South America in July and August when the average temperature in Santiago, Chile is 9°C or 48°F. On the other hand, plan your trip well and you could enjoy an endless summer. Once you know where you want to go, you need to put a few logistical pieces in place. For flights, consider Airtreks, a travel agency that specializes in booking long-term travel. They specialize in multiple flights in one trip. They know which airlines hub where, which ones have stopover programs for what destinations, and which local carriers are going to save you money when moving within a region, etc. However, to use them you need to have a complex trip. Their minimum is at least 3 stops internationally in at least two countries, not including the start and end cities. For train travel, see The Man in Seat 61. It’s an amazing site that is well maintained. Bus travel is very local in nature and best arranged in the destination. 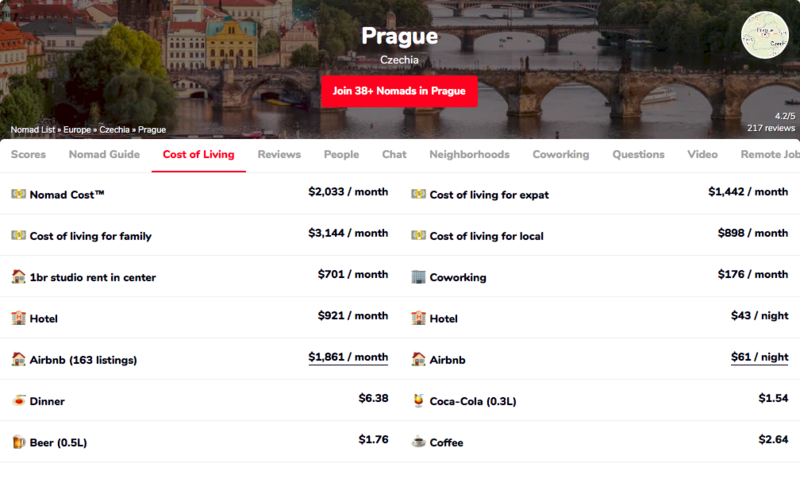 Expatistan will give you the cost of settling into a destination compared with the cost of your home city. For those digging into a destination for a few months, this is a valuable resource. Rome2Rio is a site where you can find out how to get just about anywhere from anywhere. It’s an invaluable tool for planning a long-term trip as it can tell you how long and how much money moving from one place to another will cost. Knowing this may eliminate certain destinations from your list. When I planned the trip in 2001, there was very little on the Internet. There were no blogs and certainly no housing sites. The best to be found were classified sections in local newspapers. Now there is so much more. But some of the low-tech methods still work. Put out the word. There’s nothing like word of mouth or share by Facebook to get the word out that you are looking for a short-term rental. Let people know. When I did this, I not only found a place but found someone to go and check it out to ensure that it was in a good area and clean. Photos and feedback really helped. Search and book online before you go. When you’re staying for a while, it’s best to get off the regular sites like Airbnb unless you want to spend a lot of time contacting hosts to see if they’ll negotiate a monthly rate. Look for online listings for your destination. It may be a simple classified ad, it could be on the local version of Craiglist or Kijiji. Country-specific month-to-month rental sites. PrimeLocation is an option in the UK. Searching it, I learned that PCM is per calendar month and PW is per week. Prices are shown for both. You can filter furnished apartments only. One of the women who wrote me found daft.ie for rentals in Ireland. Land first. Find an apartment/flat second. Waiting until you arrive has the advantage of giving you time to suss out the city and decide what area you’d like to stay in. You can also learn how locals find the apartments for rent and use local sources. Home exchange. Trade your home for one in your destination. Here’s what one of our readers had to say about home exchanges. Free Accommodation: Try a Home Exchange. House-sitting. You’ll have a few responsibilities if you house-sit but you will get your accommodation for free. To learn more, read House Sitting Tips for House Sitters and Home Owners. Trade your skills. World Packers Trade your skills for a free place to stay. You might end up staying in a hostel, homestay, NGO, a farm or eco-project. Choose your continent destination and see what’s on offer. You need to sign up as a traveler on their site and then apply for the position. Find a community. Roam is a new service. It is an international network of co-living spaces that combines accommodation with work space and community. I stayed for three weeks in Bologna and used it as a base to explore Emilia-Romagna. In one apartment for weeks or months means bringing flowers in to enjoy, getting to know the owners of the local coffee shop, the cheesemonger, etc. When you’re traveling long term you may think that you need to carry more than for a short-term trip but that’s not really the case. If you plan to stay in one place for a long time you’re best, as always, to pack lightly, and see what you actually need when you’re there. Washing your clothes is easy when you’ve settled into one place, plus, a laundromat can be an interesting local experience. Should you find yourself missing things, there are always thrift shops and other low-cost options for buying exactly what you need. A backpack is your best choice for a long-term trip. A carry-on case requires at least one hand free at all times, and if it’s a roller bag it can be heavy. Both these scenarios are not good if you’re going up and down stairs at train stations, walking long distances, or are in places where you really want to keep your bag close to you at all times. For how to choose and pack a backpack, read: Backpacking Solo: Your Complete Guide for a Great Budget Trip. 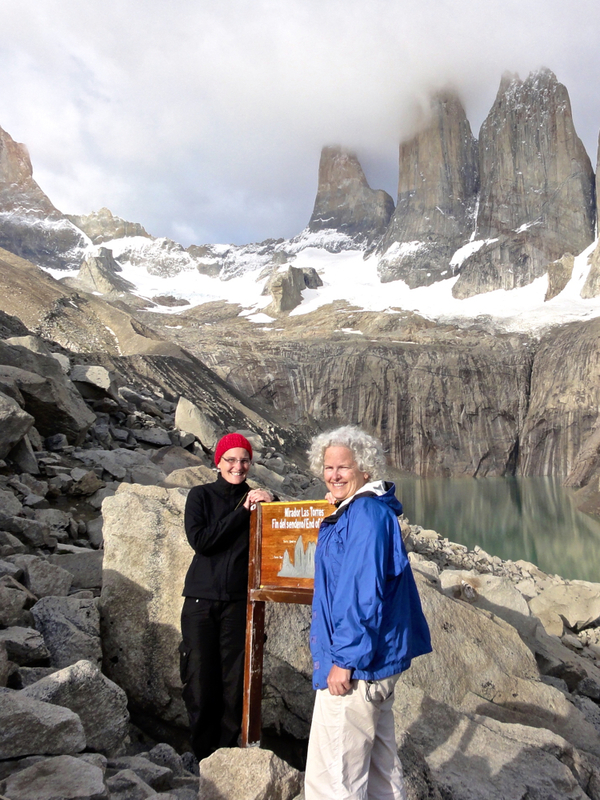 I met Noemie on the Navimag ferry and we hiked and camped Torres del Paine together. Despite the fact that my 10-month trip was in a VW pop-up camper which allowed me to have everything I needed with me, including the same bed every night, there were times I longed for more. You likely will too. Fear of being lonely is one of the greatest concerns of people about to set out on a solo career break or gap year. Here are a few ways you can deal with this. Connect with locals. When you stay in one place longer you will inevitably meet people. Go to the same coffee shop on a daily basis. Join a Meetup.com group. Read: Travel Deeper: 12 Tips to Help You Connect with Locals. Be open to a travel companion. I have met travel companions on ships, at an ashram, and, of course, at hostels. Traveling with someone for a week or two is a great way to manage loneliness on a long-term trip. I book my hostels on Booking.com because I can see the reviews of hostels as well as inns and B&Bs that are in my budget all in one place. Take a tour, a course, or join a group. You may be traveling independently but that doesn’t mean you have to do so for your entire trip. Breaking up a long-term trip by joining a tour and letting the company manage all the details while you simply enjoy the other travelers is a great way to beat loneliness. If you’re traveling slow, take a course. Learn the language of your destination, or its culinary tricks. Learn to do something you’ve always wanted to learn whether that’s rock climbing or watercolor painting. Join an organization or a Meetup.com group to connect with people with similar interests. Manage the unsettled feeling that long-term solo travel can cause. If you’ve been on the move, settle down. When you’re traveling for a long period of time, hostel life can get old. You start to crave privacy, creature comforts, and a place that feels like it’s yours. Renting a short-stay apartment in many countries is either equal to or only slightly more per night than a private hostel room in a larger city. Try Airbnb or VRBO.com for booking an apartment. Go to a resort or take a retreat. On our 10-month trip, we went to a resort in Sicily for a week to get that settled feeling. Having people around, being served three meals a day, having my room cleaned every morning, ocean swimming: it was a bit of heaven. Try VRBO and Vacation Home Rentals. We have dozens of posts on the site about managing money before and as you travel. Insurance is a must. Getting sick while traveling solo, especially if you plan to be traveling long term, is no fun. Having the back-up of an insurance provider not only helps you if the worst happens, but also saves you tons of cash. Read Going Alone? Travel Insurance is a Must. Have a second credit card and make sure one is a Visa. In many countries, cash is king. But, on those occasions when you will need a credit card, it’s always good to have a back-up in case one doesn’t work. I’ve found that Visa is the most accepted worldwide with few exceptions. American Express tends to be the least accepted. And, don’t be fooled, even when a business displays a sticker that says a certain type of card is accepted, it might not be. Finally, call your credit card company to let them know where you will be traveling so your card won’t be blocked in off-the-beaten-track countries. Some banks no longer require this, but it doesn’t hurt to make a quick call and they may offer some additional tips to help you keep your card safe. Don’t use public Wi-Fi without a VPN. You should never go into your bank account or use your credit card online when you’re on public Wi-Fi unless you’re using a VPN. A hostel or coffee shop with a security code is still public Wi-Fi. Your account could be hacked, and worse, the data gathered could be used to hack you more. Read VPN for Travel: What, Why and an Easy Setup Guide. Take crisp, clean bills. Even though you’ll be using ATMs mostly, it never hurts to have some extra US dollars or Euros in your pocket. Make sure that you have fresh, new, clean bills. When exchanging money, your bills will be closely inspected. Any tears, stamps, marks, or signs of wear could make the local exchange service leery of accepting your cash. Pay in the local currency, ALWAYS. 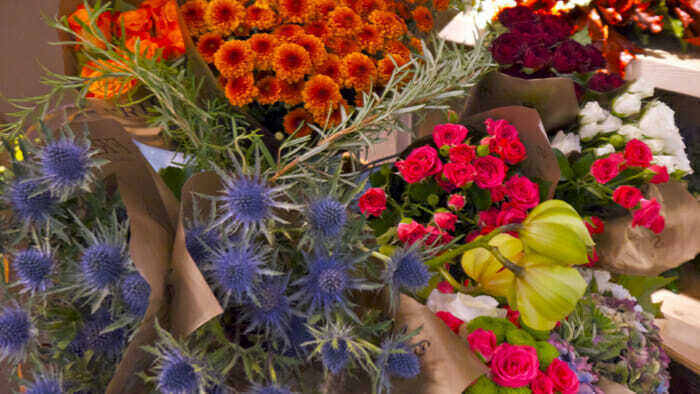 To get the best price on the goods you’re buying, always pay in the local currency. If you insist on paying with your dollars or euros, you will likely pay more. The vendor isn’t necessarily trying to rip you off. They are trying to hedge their bets so when they take your foreign money to the bank, they don’t lose out. And, there is the hassle factor for them.